Gentle wavy rim plate. 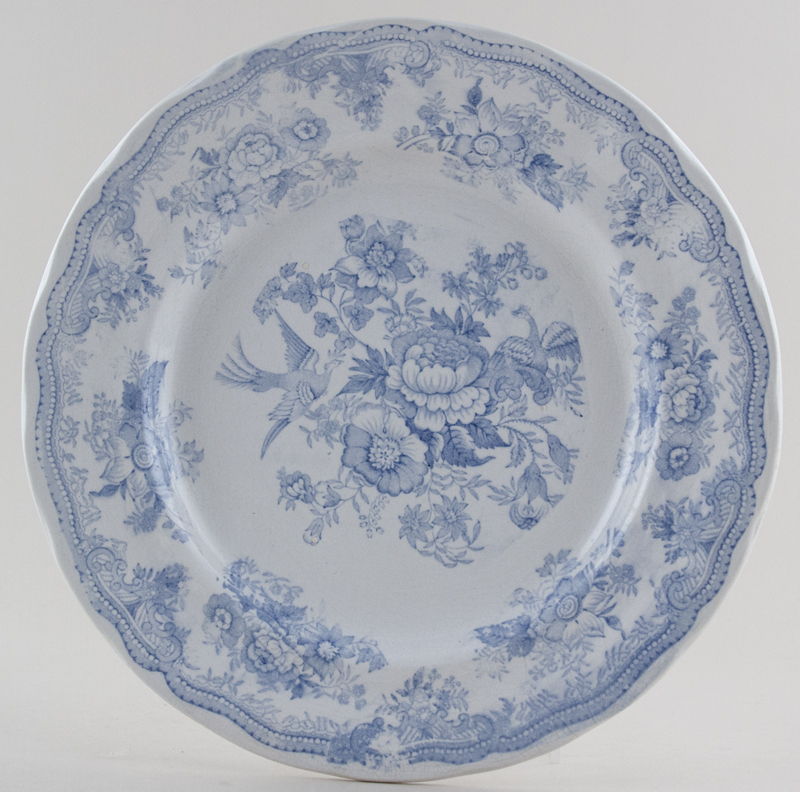 Backstamp: Asiatic Pheasants Ironstone. Light all over crazing with a little blue smudging and a little roughness to the stilt marks.